If you are going to make a list of the best burgers in New York City, it would be prudent to include the pljeskavica ($11, below), not your typical meat patty between bread. 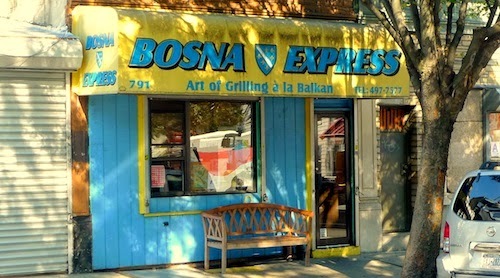 This beauty will wow you at this tiny takeout establishment. 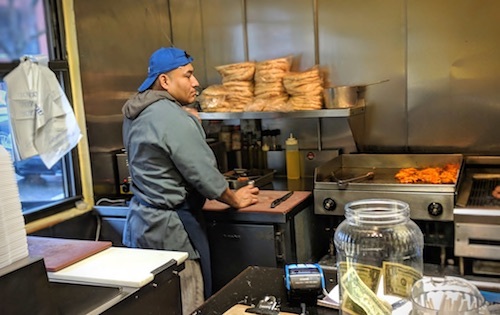 Even though it is cut into more convenient quarters, the giant (yet thin) sandwich is not easy to eat standing up, so grab a seat at the counter if you can as the sauces and onions will be falling all over. It had been three years and a lot of press since my last visit, but the burger is as good as ever, if a tiny bit smaller than my memory served. It is a still a crowd pleaser though, but I would recommend asking for extra ajvar, a magic Balkan red pepper spread. 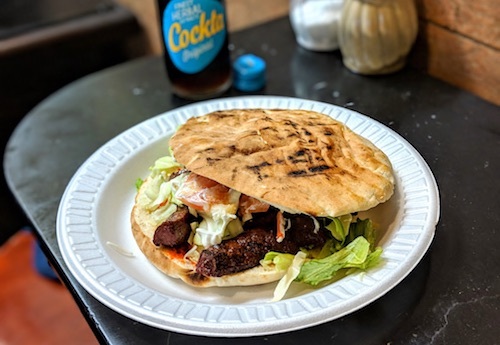 The cevapi ($5 for 5 pieces, $8 for 10) is just another way to eat the same meat, served in small links that you can eat with the bread and ajvar. On a 2018 revisit, we finally had the sudzukice ($8 small, below), a sandwich made of slightly spicy beef sausages cooked over the grill. 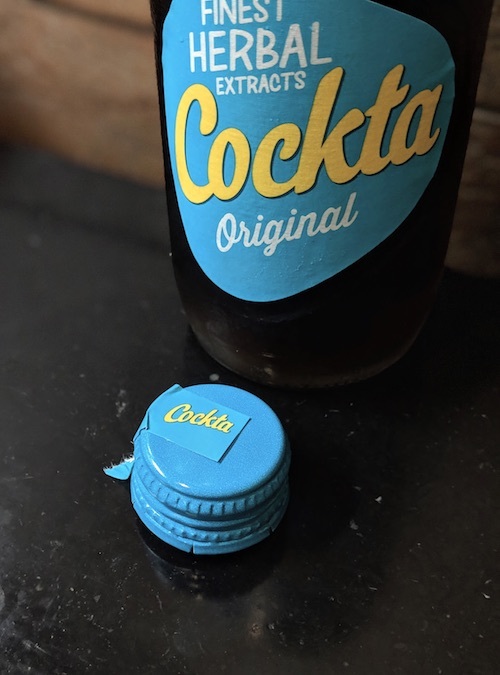 Don't miss Cockta, a Slovenian herbal soda good for digestion. A view of the old facade.